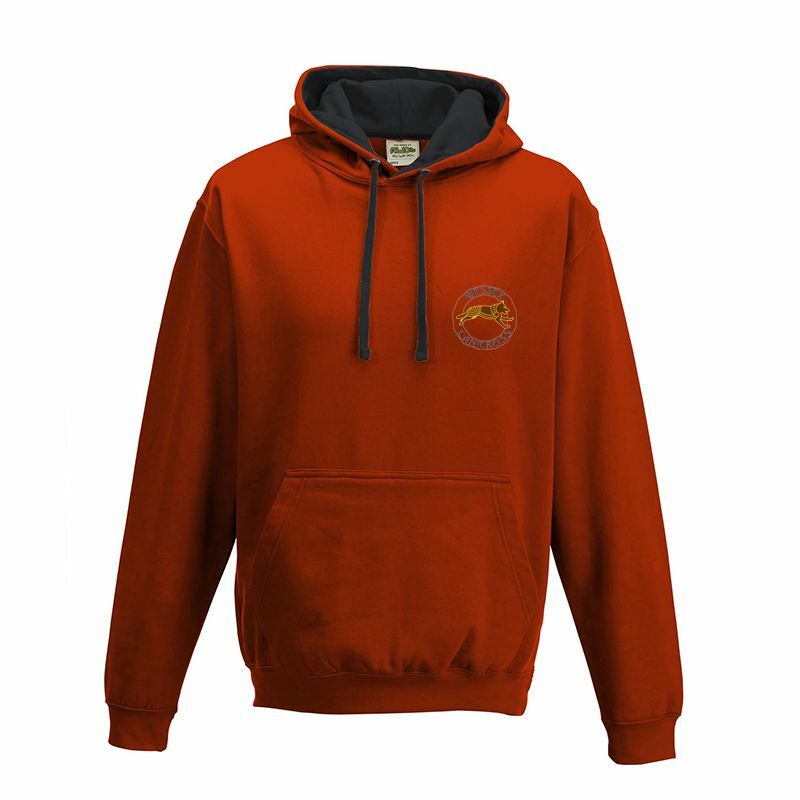 Contrast Wessex Canicross team hoodie. 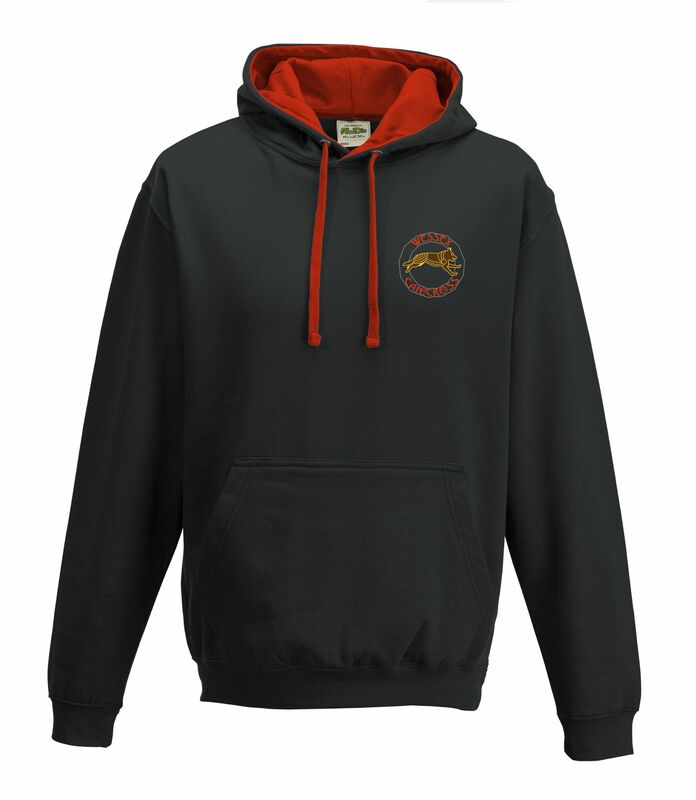 The hoodie has the small club logo on the left breast and the large logo on the back. it comes in black with red contrast or red with black.